Daventry District Council is seeking the public's opinion during consultations on the introduction of tighter controls on future construction plans in the town centre and in Brixworth. The plans would see Brixworth and Daventry town centre become part of the district's conservation areas, that is to say areas considered worthy of preservation or enhancement because of their special architectural or historic interest. It means tighter planning controls for anyone seeking permission to alter or demolish a building or carry out work to trees, in order to maintain the special interest of the area. The review aims to ensure that the district’s conservation areas are still fit for purpose. It will look at whether their boundaries should be changed and whether further controls should be introduced within them. The case for new conservation areas will also be considered as part of the process. The Daventry town centre and Brixworth conservation areas are the latest to come under review, and draft Appraisal and Management Plans have been produced for each area with the help of feedback received during public displays held earlier this year. The Daventry town centre document also includes a brief appraisal of the former hamlet of Drayton, now part of Daventry town. People now have until 5pm on Monday, September 4 to comment on the drafts, with any feedback received being used to help shape the final documents. It is intended that the final versions would be adopted by the council as supplementary planning documents, giving them an official status to help in the making of planning decisions. The draft Appraisal and Management Plan for the Daventry town centre conservation area proposes an extension of the boundary to take in part of Badby Road and removal of certain areas consisting solely of modern buildings. In Brixworth, it is proposed to extend the conservation area to include the former estate land at Brixworth Hall Park and the four Swedish Houses on Froghall. Both plans make proposals for introducing a number of ‘Article 4’ directions to protect historic features in specific locations, as well as for protecting a number of properties by designating them as locally-listed buildings. The draft appraisal and management plans and details of how to comment on them can be found here. They are also available for inspection at DDC’s offices in Lodge Road, Daventry as well as at the libraries in Daventry, Moulton, Brixworth, Long Buckby and Woodford Halse. There will be an opportunity to discuss the draft Appraisal and Management Plan for the Daventry town centre conservation area at Daventry Museum, in New Street, from 4pm to 5pm on Monday, July 24. 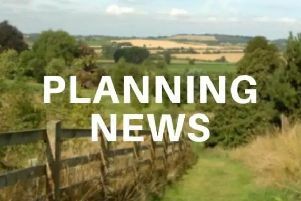 A meeting to discuss the proposals for the Brixworth conservation area will take place at Brixworth Community Centre in Spratton Road on Tuesday, July 25 from 6pm to 7pm.